No design experience required with our simple to use interface, drag and drop features and one mouse click design capabilities! It's easy to get started. Upload a photo or start designing from scratch. Design the perfect deck, patio and outdoor living space with drag and drop materials such as furniture, outdoor kitchens and more. Choose from thousands outdoor furniture and accessories, plants, flowers, shrubs, paint colors, materials, and more to complete your design. New integrated interactive help system to make finding and using the right tool easier than ever. Discover Your Property's Hidden Potential! Create beautiful landscaping andoutdoor living spaces! Punch! Landscape Deck & Patio Design provides acomplete set of tools to plan, design, and visualize your outdoor space.Design your landscaping with drop-in gardens or create your own using theextensive plant library to help you select the right plants for your area.Create the perfect deck or patio and add the finishing touches with stains,paints, outdoor furniture, and outdoor lighting. Easily add pre-made outdoorkitchens, water features, custom fences, pathways and even a pool. 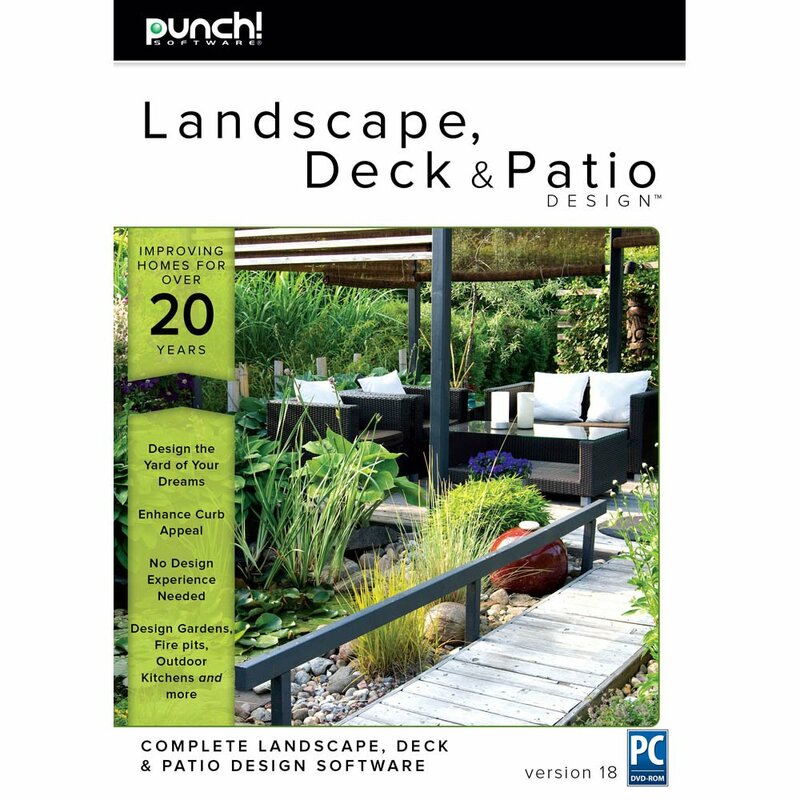 Punch!Landscape Deck & Patio makes designing and planning your landscape easier thanever before!